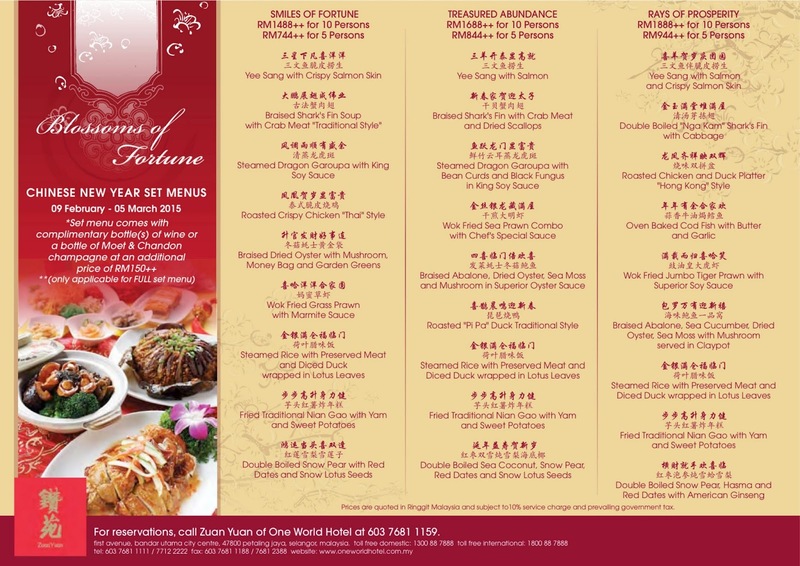 More CNY feasting had me visiting Zuan Yuan at One World Hotel this CNY to check out this season’s three celebratory masterpiece set menu by Chef Heng. 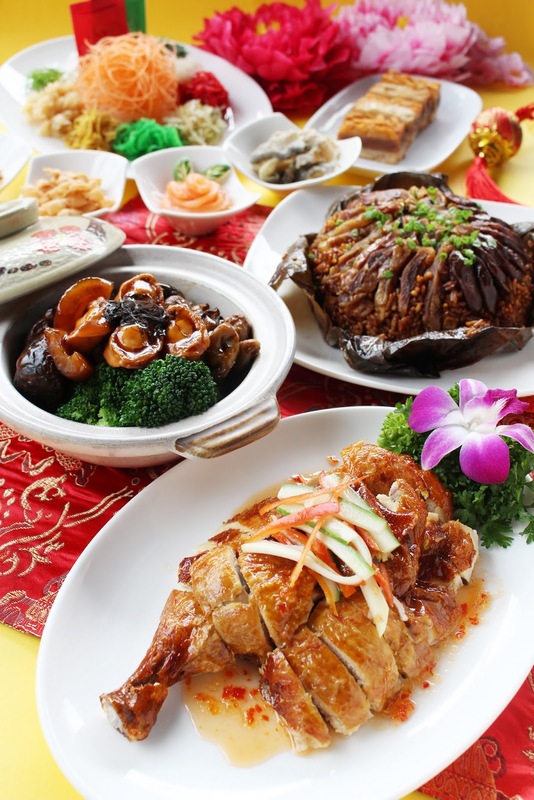 Zuan Yuan has always been a popular choice for many and this festive season, the restaurant is a sure crowd pleaser when it comes to festive Chinese banquet menus besides its signature dim sums. Our CNY feasting took flight with Yee Sang with Soft Shell Crab. The must-have festive salad features more classic ingredients in the salad but offers more choices of the main ingredients ranging from lavish abalone to soft shell crab, salmon, jelly fish and pear. Our soft shell crab is gorgeously crispy, golden and coated with a light batter. Every mouthful has loads of crunch factor, juiciness, sweet and sour notes. Fish is also a must and never fails to appear in every Chinese meal. Steamed Dragon Garoupa with Bean Curds and Black Fungus in King Soy Sauce reaffirmed that classic steamed fish will always be a crowd pleaser. The dragon garoupa is sweet and beautifully highlighted this round with supreme soy sauce while the soft fu chuk skins and crunchy black fungus added textures. The Braised Abalone, Dried Oyster, Sea Moss and Mushrooms certainly represented an abundance of wealth. The opulent abalone is braised in the classic Chinese brown gravy together with auspicious ingredients like dried oysters, black shitake mushrooms and Fatt Choy. All the ingredients are nestled on crisp broccoli. This dish evoked comfort and soothing flavours. I was pretty stoked about the Roasted Pi Pa Duck Traditional Style. The platter of roast is utterly ravishing at sight. Pi Pa duck is famed for their crispy skin and tender meat. Ours had all the checkmarks that. The evenly amberish lacquered duck had a gorgeous crisp skin, juicy and moreish meat. There was minimal fat and yet the duck is tasty and rich with a subtle aroma of star anise and other spices. Coupled with moreish brown gravy, the pi pa duck is fabulously delicious. The festive season is the time to enjoy traditional preserved meat and sausages. Observing the same traditions, Chef Heng’s Steamed Rice with Preserved Meat & Diced Duck in Lotus Leaves is a bundle of mouthwatering goodness. The lotus leaves emitted a pleasant nutty aroma in the rice while the preserved duck and two types of sausages are always as sinfully yummy. Fried Traditional Nian Gao with Yam & Sweet Potatoes may look unusual but these are delectable. Squares of Nian Gao are sandwiched between creamy sweet potato and yam and fried. The outside is lightly crisp while the texture inside remains soft and creamy. These are pretty addictive. We also had Double Boiled Sea Coconut, Snow Lotus Pear, Red Dates & Snow Lotus Seeds as a sweet and soothing ending. This promotion is available for lunch and dinner with the set menus priced at RM1,488++, RM1,688++ and RM1,888++ for a table of ten with two complimentary bottles of wine.